2015 is 255 days old – less than 2/3 complete. And yet as of today, August 13th, we as a global species have already used up one year’s worth of our planet’s resources. This means that as far as renewables—plants and animals, not to mention carbon absorption—between Jan 1. and sometime today, we’ve already consumed more than our biosphere is capable of replenishing in one calendar year. For the remainder of 2015 we’re in ecological debt, not-so-metaphorically consuming our seedcorn. At our present rate of consumption we require the resources of 1.6 planet earths to support our lifestyles. But we don’t have 1.6 earths, do we? As 2015 winds down, and as we go on borrowing resources from a very uncertain future, let us spend a little time, and hopefully a little effort, on working our way back toward global sustainability. 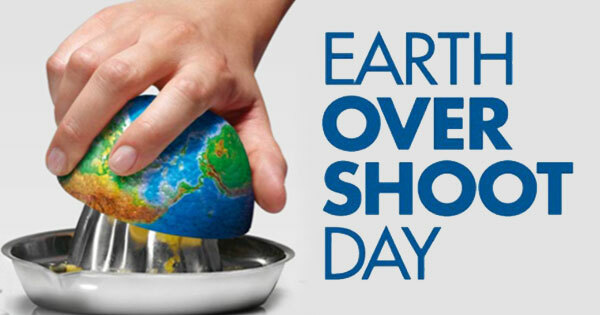 This entry was posted in New Post and tagged climate change, Earth Overshoot Day, ecological debt, ecology. Bookmark the permalink.